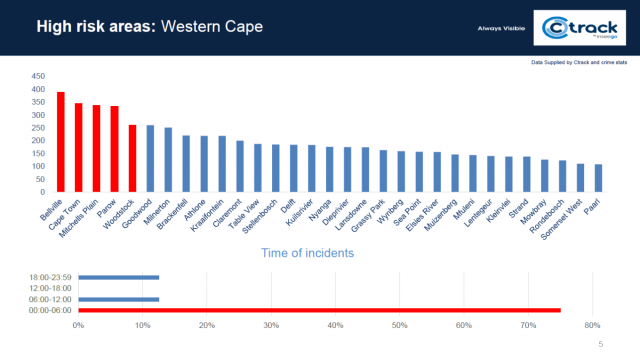 Vehicle tracking company Ctrack has released it hijacking and crime statistics, detailing the hijacking hotspots across South Africa’s biggest cities, and the time of day you’re most vulnerable. Ctrack found that car and truck hijacking is most common in South Africa’s most populated province, Gauteng, followed by other built up provinces such as KwaZulu Natal and the Western Cape. 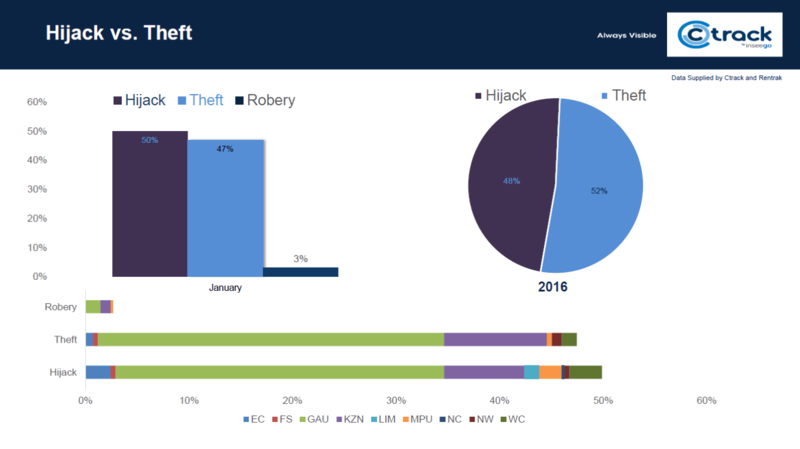 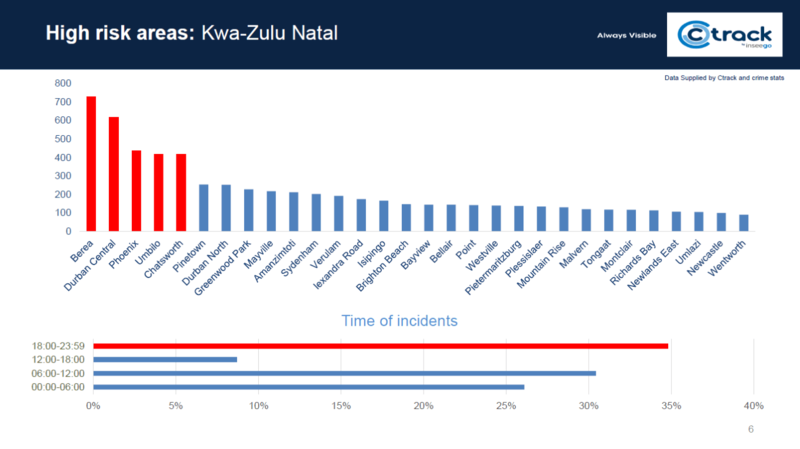 The majority of hijackings were likely to occur between 18:00 and 23:59 in Gauteng and KwaZulu-Natal, and between 00:00 and 05:59 in the Western Cape. You are also more likely to be hijacked on a Tuesday. 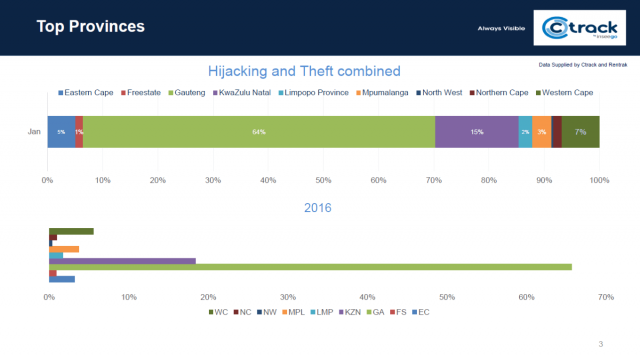 According to the latest crime statistics report released by the SAPS in September 2016, cases of hijacking have increased significantly across the country. 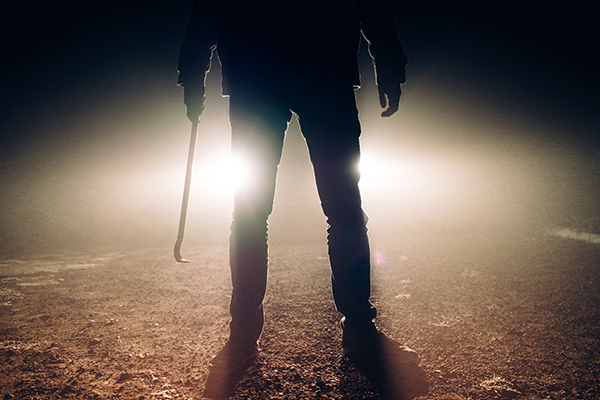 The most recent crime stats revealed that there were over 14,600 reported car hijackings between 2015 and 2016, up 14.3% from 12,770 cases in the prior period. 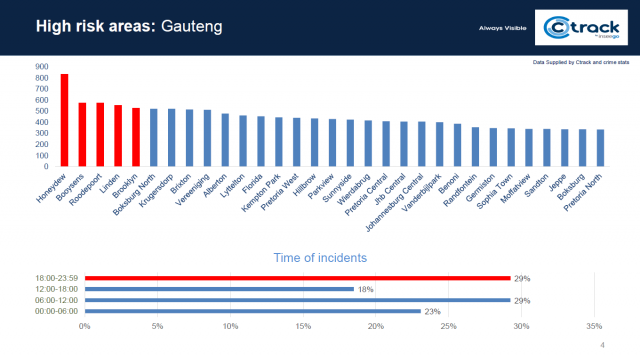 Statistically, this shows that 40 cars are hijacked every day in South Africa (versus 35 in 2015), or roughly one car every 36 minutes.